· Fits into standard 112 mm circular cutout. 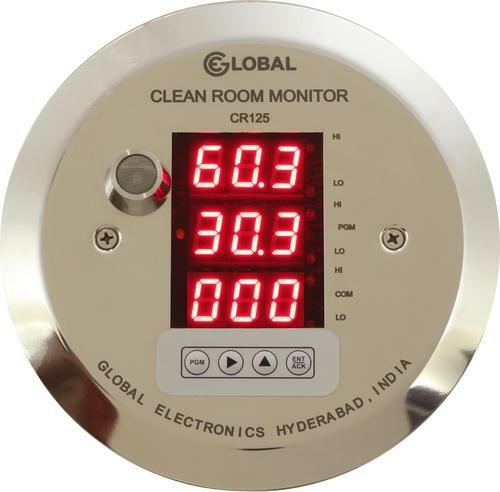 Global Electronics was established in 1977 with an aim to start the digitalisation era in process instrumentation and automation in India and worldwide. The conviction in our dream got stronger when we exported India’s first Digital pH Meter to France in 1978. We are a Design and Manufacturing house, speacilizing in inventing state of the art instruments for Process Control Industry.Our motto : “Reliability through Design”.We were the first to Automate the Process pH Control in 1981 without using a PLC, and since then we are Automating Various parameters in Industries and providing SCADA for the same. Our design and manufacturing capabilities are proven by the fact that we have been repeatedly getting orders from DRDO since 1981 on single tender basis, as we have the capability to design and customise cost effective instruments and sensors which qualify all the criteria including EMI/EMC safe, Low temperature test, Vibration test, Thermal Shock Test to name a few. We also do private labelling for company like Honeywell, UTC (Carrier race) and many more.